Your Goldman Sachs & Morgan Stanley Swiss Bank Info Is Being Transferred To The US Govt As We Speak! 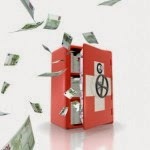 We originally posted Tuesday, January 28, 2014 "Offshore Swiss Bank Account? 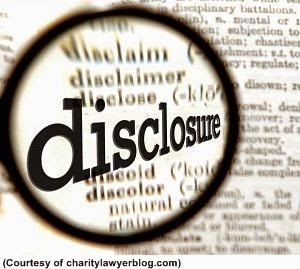 This May Be Your Last Chance To File A Voluntary Disclosure!," where we discussed that The United States Justice Department has received 106 requests from Swiss entities to participate in a settlement program aimed at ending a long-running probe of tax-dodging by Americans using Swiss bank accounts according to a senior US official. The Swiss units of Goldman Sachs Group, Inc. and Morgan Stanley are among 106 banks seeking U.S. non-prosecution agreements after saying they had reason to believe they helped Americans violate tax laws, according to three people familiar with the banks’ actions. 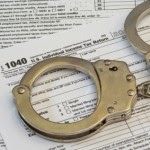 They have agreed with U.S. authorities to hand over potentially incriminating details about how they might have helped Americans evade taxes, according to people familiar with the situation. Both Goldman Sachs and Morgan Stanley applied to a Justice Department program that requires banks to disclose how they helped Americans hide assets, hand over data on undeclared accounts and pay penalties, according to the people who asked not to be identified because they weren’t authorized to discuss the matter publicly. To gain non-prosecution deals, banks must pay 20 percent of the value of accounts not disclosed to the Internal Revenue Service on Aug. 1, 2008, 30 percent for such accounts opened between then and February 2009 and 50 percent for accounts opened afterward. Banks submitted letters of intent by Dec. 31. Banks seeking non-prosecution agreements must disclose the total number of U.S. accounts since 2008, their highest dollar value, and the employees who managed them. The banks also must use independent examiners to certify findings. At least 33 banks announced that they will join the program in Category 2, including Cie. Lombard, Odier SCA, Geneva’s oldest bank, and BSI Group, the Swiss private bank owned by Italy’s Assicurazioni Generali SpA. EFG International AG, controlled by Greek billionaire Spiro Latsis and his family. Another 15 banks, mainly regional lenders, declared they will opt for Category 3 or 4. Category 3 banks seek Justice Department letters saying they’re not a target of a criminal probe. In return, an independent examiner must confirm the bank broke no laws. The Wall Street Journal earlier reported about the banks’ participation in the U.S. program. The Justice Department has said that 106 Swiss banks, or more than one-third of the country's total, already have committed to category 2. Attorneys and other experts say many banks have opted for category 2 as a precautionary move, because discovering all client ties to the U.S. can be difficult. The same logic was used by the Swiss operations of Goldman and Morgan Stanley, people familiar with the matter say. Goldman's Swiss private bank had about $12 billion in assets under supervision as of the end of last year, according to a person familiar with the matter. 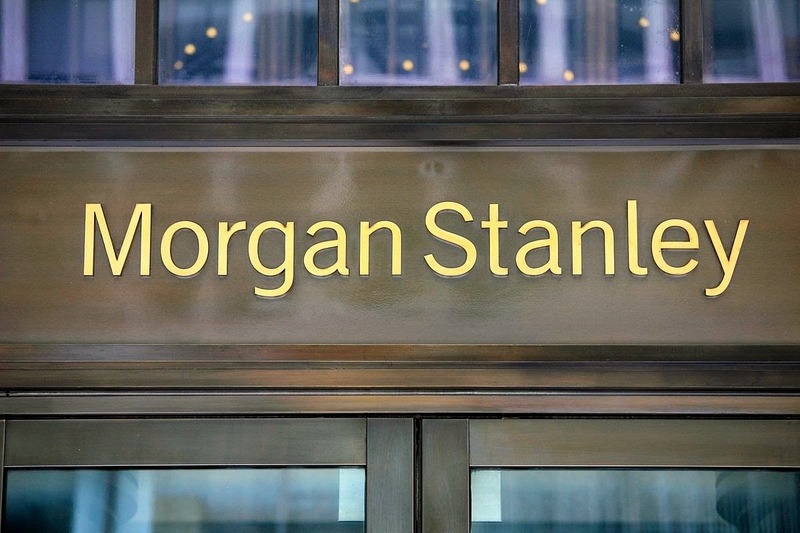 Morgan Stanley's Swiss private bank had $50.7 billion in assets under management as of last year, though the bulk of that stemmed from branches in Hong Kong and Singapore. Citigroup Inc. and J.P. Morgan Chase & Co. also have Swiss operations. Citibank Switzerland AG has compiled data in line with the Justice Department program's requirements but hasn't entered into category 2, according to a person familiar with the matter. 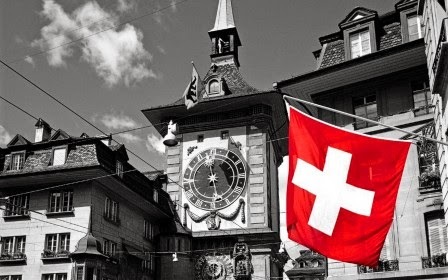 The Department of Justice's Tax Division will strictly enforce an April 30 deadline for Swiss banks to comply with disclosure provisions of a bilateral U.S.-Switzerland program to root out tax evaders, a senior DOJ official has subsequently stated. We have spoken to numerous clients, who have been advised, that their Swiss banks are in the process of turning their account information over to the IRS, pursuant to this US settlement program. 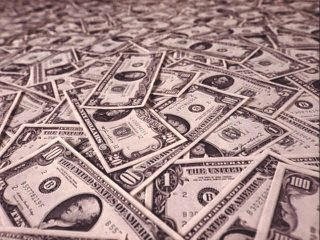 US taxpayers who have unreported income from Swiss bank accounts may now want to consider applying for the US Offshore Voluntary Disclosure Program (OVDP), which sets a limit to the penalties imposed on them by the Internal Revenue Service (IRS) for failing to declare foreign assets and earnings. However, once the Swiss banks disclosed an account holder's name to the IRS, which they must do by no later than April 30, 2014; the OVDP option is no longer available to that US Taxpayer Account Holder. 51 Fatca Agreements and Growing! On Friday, April 18, 2014, we posted FATCA Picking Up Momentum & US Gives Foreign Banks More Time to Register, where we discussed the IRS' Announcement 2014-17 which provides that countries that have FATCA agreements "in substance" with the United States will be seen as complying with the law, even if the agreements are not finalized by Dec. 31, 2014. This announcement increased to 48 from 26 the number of countries that have "intergovernmental agreements" (IGAs) with the United States, which allow a country's financial institutions to comply with FATCA via their domestic regulators. This would include Brazil, South Korea and South Africa, among other countries, who are in the process of negotiating IGA with the US. Before the announcement, many foreign businesses were unsure how to comply with FATCA by July 1, 2014 if their home countries had not yet signed IGA deals with the United States. Countries left off the list were China, Hong Kong, Russia and Singapore. Since then, the Bahamas, India and the Slavic Republic have executed FATCA agreements, bring the total to 51 Countries with US FATCA Agreements! With 21 nations treated as having an agreement, that are "in the process"
As described in Notice 2013-43, FFIs resident in, or organized under the laws of, a jurisdiction that is treated as having an IGA in effect, which, pursuant to this announcement includes jurisdictions listed on the Treasury and IRS websites as having reached agreements in substance on IGAs before July 1, 2014, should register on the FATCA registration website as a registered deemed-compliant FFI (which would include all reporting Model 1 FFIs) or a participating FFI (which would include all reporting Model 2 FFIs), as applicable. Importantly, withholding agents are still not required to obtain the GIINs of FFIs that are treated as reporting Model 1 FFIs before January 1, 2015. Based on the IRS experience with the registration system and GIIN generation process to date, the IRS now believes that it can ensure registering FFIs that their GIINs will be included on the June 2 IRS FFI List if their registrations are finalized by May 5, 2014 (GMT -5), rather than April 25, 2014, as originally announced. Further, the IRS believes it can ensure registering FFIs that their GIINs will be included on the July 1 IRS FFI List if their registrations are finalized by June 3, 2014 (GMT -5). FFIs that finalize their registrations after May 5 or June 3 may still be included on the June 2 or July 1 IRS FFI List, respectively; however, the IRS cannot provide assurance that this will be the case. The IRS will continue processing registrations in the order received; however, processing times may increase as the May 5 and June 3 dates approach. See Below For Types of FATCA Agreements signed by each country and Links to the actual Agreements. Type of Agreement and Links to Agreements. This is a complete list of joint FATCA statements between the United States and other countries. The IRS Provides Options for Taxpayers Who Owe Tax after April 15! Make an Online Payment Agreement. If you are unable to pay in full, then consider paying over time. If you owe $50,000 or less, you can apply for an installment agreement. You may choose to make convenient monthly direct debit payments for up to 72 months. With this option, there are no checks to write or send. And you won’t miss a payment or pay late. Use an Offer in Compromise. An Offer in Compromiseis an agreement that allows you to settle your tax debt for less than the full amount. Generally, the IRS will accept an offer if it represents the most the agency can expect to collect within a reasonable time. The IRS looks at several factors to make a decision on your offer. The majority of delinquent taxpayers cannot just write to the IRS and request that their tax bill go away. Since, some taxpayers might not qualify for an Offeror Tax Bankruptcy relief, we often negotiate a long term Payment Plan with the IRS. A Payment Plan(Installment Agreement) with the IRS allows taxpayers that cannot afford to full pay their back tax liability the option to pay their Back Taxes through monthly payments. There are guidelines regarding how the IRS determines the payment amount and time frame for the agreement. 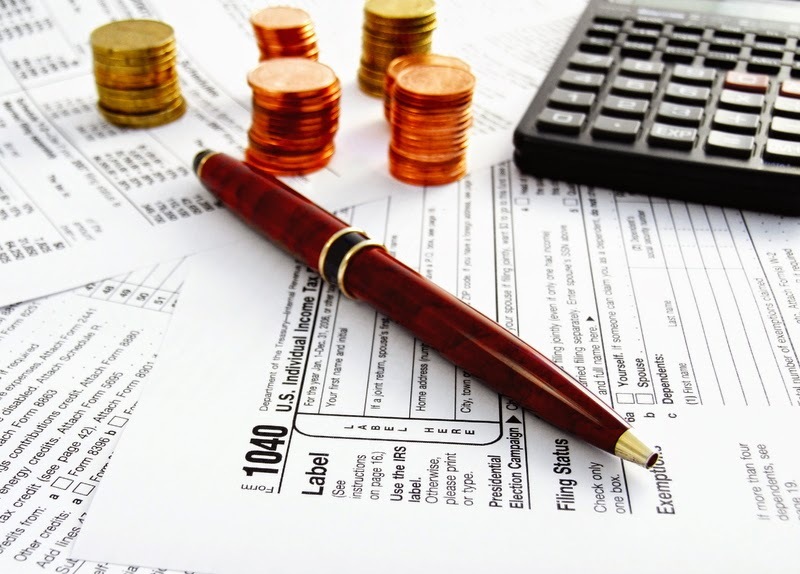 Additionally, a taxpayer must be compliant with all Past Tax Filings before establishing the agreement. Depending on the circumstances and the amount of time that the IRS has left to collect the tax debt, the Installment Agreement may pay All or Part of the back tax liability! Suspends the sending of notices and making harassing phone calls! However, penalties and interest continue to accrue on the unpaid portion of back tax liability throughout the duration of an Installment Agreement. Additionally, depending on the circumstances, the IRS may file a Notice of Federal Tax Lien to protect their interest until the liability is paid in full. There are certain conditions that must be kept after the Installment Agreement is established such as being compliant with future tax filings and payments. For those that cannot afford to full pay their back taxes immediately and do not qualify for an Offer, a Payment Plan may be the best alternative. In negotiating long-term installment agreements, our main objective is to insure that the tax agencies do not impose unreasonable repayment demands, thus leaving the taxpayer unable to meet their monthly obligations. Offers - Who is Eligible? Internal Revenue Code authorizes the IRS, to accept less than full amount of tax liability owed in any civil or criminal case arising under the tax laws prior to the case's referral to the Department of Justice. For an Offer in Compromise to be accepted, the taxpayer must establish to the satisfaction of the IRS that the taxpayer either: has no means of paying the tax, or does not actually owe the tax. Prior to 1992 the IRS has been reluctant to settle tax liabilities. In February of 1992, the IRS announced new procedures for settling back taxes. The new procedures greatly liberalized the Offer in Compromise process and increased the likelihood that financially distressed taxpayers would be able to settle their liabilities for less than the full amount. The IRS will accept an Offer in Compromise when it is unlikely that the tax liability can be collected in full and the amount of the Offer in Compromise reasonably reflects collection potential. An Offer in Compromise is a legitimate alternative to declaring a case as currently not collectible, or to a protracted installment agreement. The goal is to achieve collection of what is potentially collectible at the earliest possible time and at the least cost to the government. Offer in Compromise - Who is NOT Eligible? Taxpayer is involved in an open bankruptcy case. Furthermore, if an ongoing business taxpayer files an Offer in Compromise for payroll taxes, that business must have filed and deposited all payroll taxes on time for two quarters preceding the Offer in Compromise. The taxpayer must further deposit all payroll taxes on time during the quarter in which the Offer in Compromise was submitted. The Offer in Compromise program requires that subsequent to acceptance of an Offer in Compromise, the taxpayer must remain current on all tax obligations for a period five (5) years. 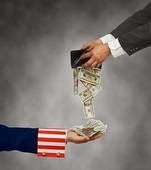 Therefore, if the taxpayer's Offer in Compromise is accepted and paid in full, but he later fails to pay current income taxes or other taxes, the Offer in Compromise might be revoked by the IRS. IRS updated Publication 5118 -Foreign Account Tax Compliance Act (FATCA) User Guide (Rev. December 2013) to reflect changes since its initial publication in the summer of 2013. The User Guide is over 100 pages and provides instructions for completing the registration process online, including the information required, how registration will vary depending on the type of financial institution, and step-by-step guidance for answering each question. The User Guide provides a list of entities that are eligible to register, on behalf of themselves and their branches, and the purposes of such registration (page 8). In addition to fairly standard features, such as round-the-clock accessibility and the ability to establish an online account, the FATCA registration website also allows financial institutions (FIs) to appoint delegates to perform registration tasks, generates automatic notifications when FI status changes, and issues the global intermediary i.d. number (GIIN) (page 9). The exact registration process depends on the classification of the registering institution, but the general steps are to create an account, complete relevant parts of the registration form (depending on type of institution and purpose of the registration), submit the form, and receive approval and a GIIN (pages 9-13). The User Guide includes a checklist of information that a FI will be required to provide to complete the online registration form. There is a section for all FIs and additional information for certain registrants (page 17). 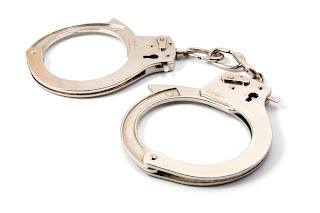 The User Guide has special registration rules for certain situations including those involving an expanded affiliated group (EAG), an EAG that has in place a Consolidated Compliance Program under Reg. 1.1471-4(f)(2)(ii), and FIs that are treated as reporting FIs under a Model 1 or Model 2 intergovernmental agreement (IGA) (page 18). A registrant can view its account information and account status on its homepage. The account status indicates, for instance, if the registration has been submitted, is incomplete, is under review, or has been approved. The fields on the home page for the GIIN and effective date are populated once the FI is in approved status. The User Guide indicates how this status can be changed (pages 58-68). It also provides guidance for when a FI is placed in "limited conditional" status or when the registration is rejected/denied (pages 68-69) or when a FI chooses to delete its registration (pages 85-91) or cancel the agreement (pages 91-94). 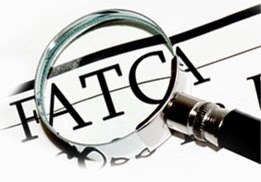 The User Guide includes a comprehensive glossary of FATCA-related terms (pages 111-113). Appendix E has an alphabetical list of countries with the applicable numeric code and which questions must be answered on the registration (for most countries, "all questions") (pages 116-121).